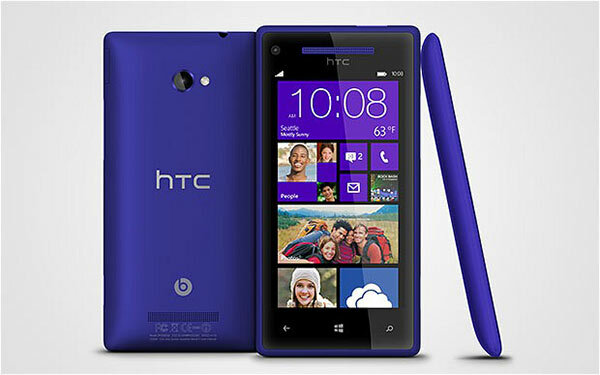 Microsoft has launched yet another smartphone in collaboration with HTC, the brand new HTC 8X with Windows 8 OS. Fighting to stay in the competition with Samsung, Sony and Nokia, HTC seems to have made a grand entrance after its One X launch. HTC 8X is a typical Windows phone in bright colours, but it is indeed a brand new look for an always elegant HTC. The colours range from a formal black to a graceful purple, a stunning red and a hideous brighter-than-sunflower yellow. The HTC 8X has dimensions of 132.4×66.2×10.1mm which makes it quite average in size though its thin edges portray a different impression. Its outer cover is made out of polycarbonate and when you hold it in your hand, it feels very much like the One X. The front screen is entirely a 4.3-inch touch sensitive 720×1280 HD display that feels like it is a sticker on the phone. The ear piece is surrounded by the same colour splash like the entire back of the phone. At the bottom of the display, there are three Windows Phone direct menu, search and back soft keys. 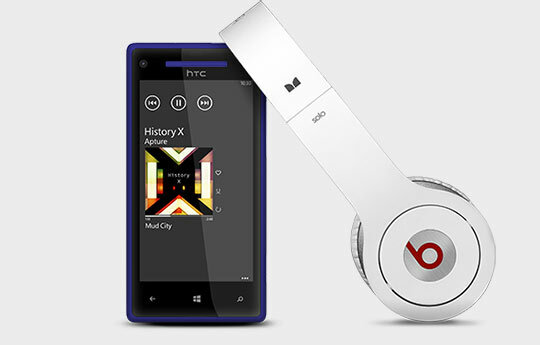 Only Windows Phone with Beats Audio which has Dedicated amplifier for studio quality sound from headset and speaker. It’s the only Windows device with Beats Audio. It has camera click key above the volume adjustment keys on its right side. This is a good feature since users like having all keys accessible on one side. The camera click key is another favourite since users love taking instant photos. The micro SIM slot is located at the top right side. You will have to use a special tool to open it. This feature protects the SIM from being lost or damaged. The rear of the phone is really bright with the beautiful colour splash and the Beats speakers that are located near the HTC logo. The phone also has a LED lighting that adds to its brilliance. Unlike other phones, the 1800mAh battery in this HTC model is not removable. The phone has a 1.5 GHZ dual-core processor and 1GB RAM to speed up performance on the Windows 8 OS. It comes with a Super LCD2 screen, 720p display that is protected by Gorilla Glass 2. It has an 8MP primary camera with auto focus and LED flash. It can record 1080p videos at 30 frames per second. The secondary camera is 2.1MP. Though this new phone has promising features like the looks, OS and the camera, it has its downsides too. The battery cannot be removed; there is no option to extend memory, and the smartphone has an average battery life. Overall, it is a great Windows Phone, quite similar to the recently launched Windows Phones. Read more about HTC 8X @ official website. Next: How Does Toner Cartridge Recycling Work?